Hello!! I'm hanging on to the last hours of the weekend lol! Back to 6:30 am wake ups tomorrow! You too? 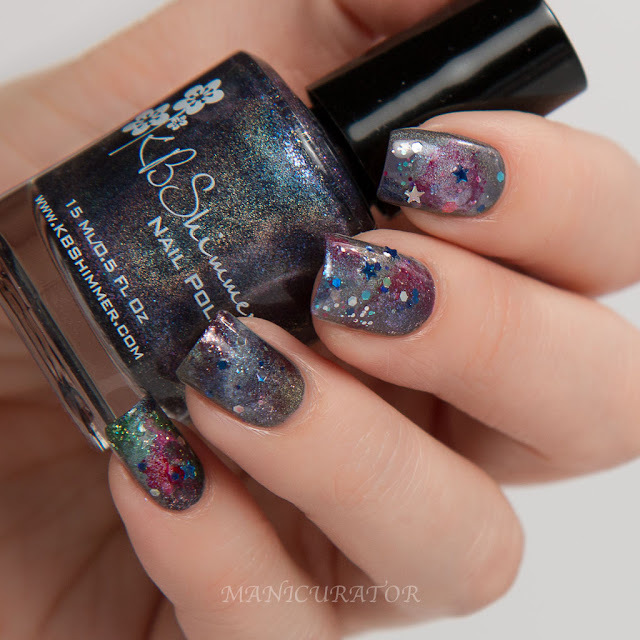 So, here I have a sort of galaxy design that I couldn't help but create using 8 of the shades from KBShimmer Winter 2015 collection. I usually stare at the bottles of a collection until an inspiration hits me and for this set it was kind of screamin galaxy nails. Check out this post showing off two other KBShimmers from Winter 2015 and a Valentine look, and this post with yet two other KBShimmer Winter shades in a simple color block. KBShimmer Yule Worthy - A warm burgundy leaning, chocolate brown polish with micro metallic flakes. 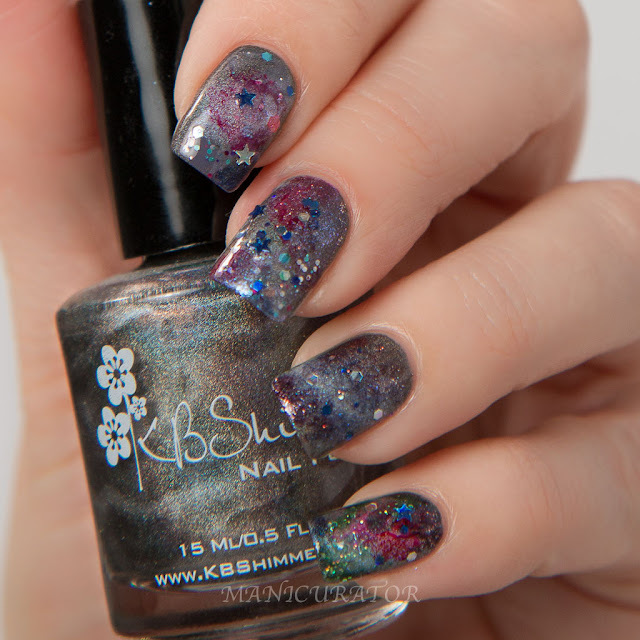 KBShimmer Coal In One -A charcoal gray linear holographic polish with 2 coat coverage, a soft black polish. KBShimmer Claws And Effect - A dark purple leaning navy holo polish with blue/pink shifting glass flakes. 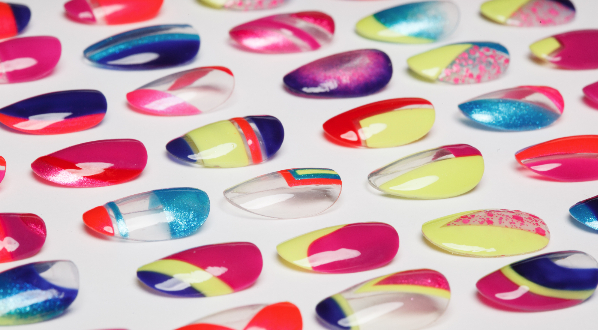 This polish comes alive in direct lighting, with the holo flame showing off. 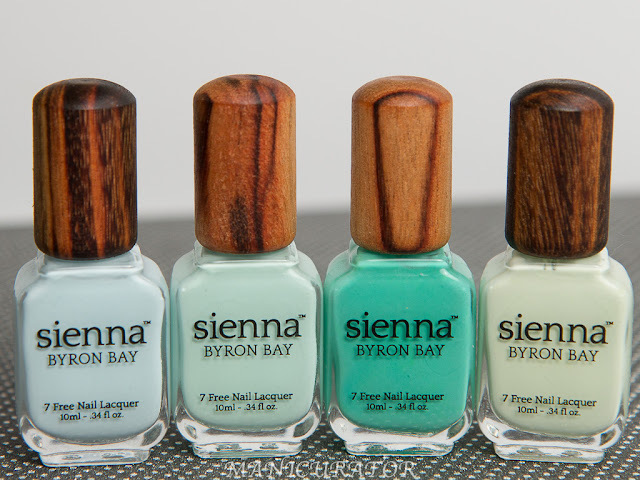 Indoors, or in dimmer light, the flakes show their true beauty, for a unique polish. 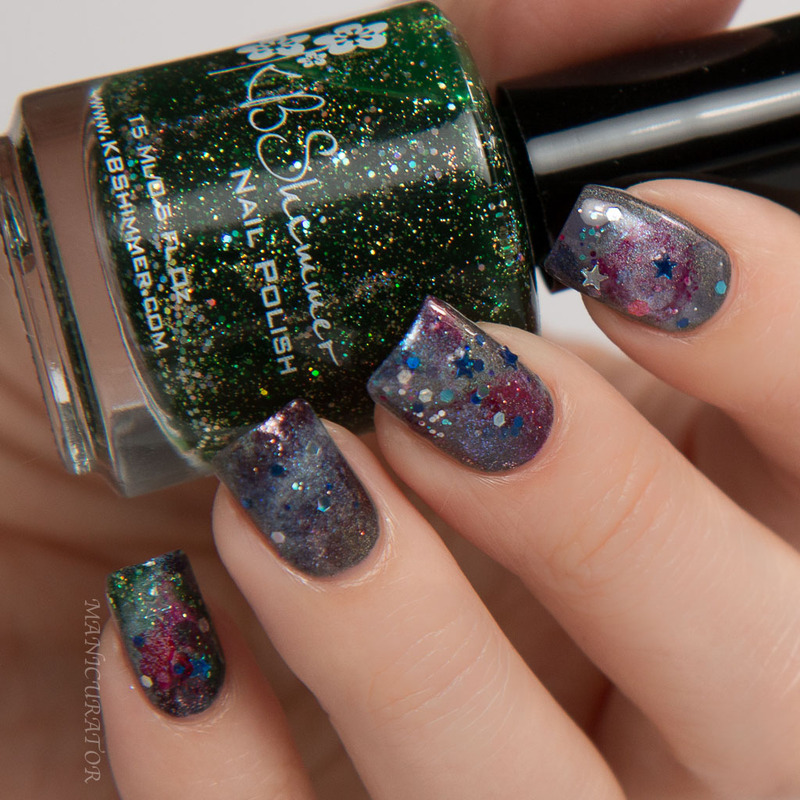 KBShimmer Kind of a Big Dill - A deep, near forest, green is loaded with micro and small silver holographic glitters that shine in the light. So, these didn't end up being my favorite galaxy nail art..but I was loving each KBShimmer shade!